Brett Connolly scored two goals and added an assist to lead the visiting Washington Capitals past the Philadelphia Flyers 5-2 on Thursday. 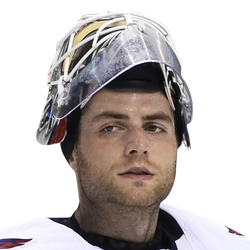 Lars Eller, Tom Wilson and Evgeny Kuznetsov each scored a goal while goaltender Braden Holtby stopped 22 shots. Kuznetsov also had an assist for the Capitals, who have won eight of nine. James van Riemsdyk and Scott Laughton scored for the Flyers, who remain in slim playoff contention in the Eastern Conference. 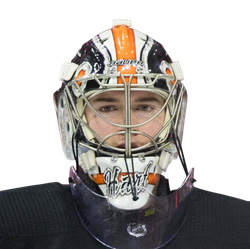 Flyers goaltender Carter Hart played for the first time in three weeks and gave up all four goals with 27 saves. As Philadelphia forward Jake Voracek served the second game of his two-game suspension for a hit on the Islanders' Johnny Boychuck, his team wasn't able to extend its two-game winning streak. Connolly gave the Capitals a 1-0 lead at 2:53 of the first period. Washington stayed aggressive and took advantage of a Flyers turnover in their own zone when Eller scored at 9:30 for a 2-0 advantage. It was Eller's 11th goal of the season and his third in the last four games. The Flyers struggled throughout the first with turnovers and a lack of execution on offense as they generated just five shots. Shortly after Washington killed off a power play, van Riemsdyk did capitalize with a nasty wrist shot that eluded Holtby to close the Flyers within 2-1 at 1:03 of the second. The goal was van Riemsdyk's 21st. Connolly notched his second goal of the game at 8:43 in the period to push the Capitals' lead to 3-1. The goal was Connolly's 19th of the season. Then at 9:48, Wilson ripped a slap shot past Hart for a 4-1 advantage. Wilson reached the 20-goal plateau for the first time in his career. Laughton extended his career-best point streak to six straight games with a goal at 12:22, cutting the lead to 4-2. The Flyers had three power plays midway in the third, though one was a bit brief after a 4-on-4 stint. But none resulted in a goal as Holtby made a number of terrific saves. The Flyers wound up 0 for 4 on the power play.